Our mission with Diversity in Blockchain is to empower everyone, from all walks of life, to engage with blockchain technology while breaking down barriers. We believe that true innovation includes everyone. Through education, discussion and engagement we can build a support network as revolutionary as the blockchain itself. I had the pleasure of interviewing Michelle Gitlitz, Esq. Founder and Co-Chair of Blank Rome’s Blockchain and Digital Currencies Group. 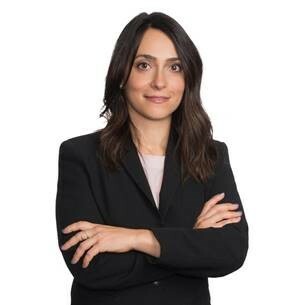 Michelle is an experienced regulatory lawyer and litigator, whose practice focuses on the legal and regulatory issues confronting companies and individuals who bring blockchain applications to market and conduct business in the digital currency space. After first learning about blockchain and cryptocurrency, I instinctively knew that blockchain was set to be a technology disruptor that would change the way we do business. After graduating from Cornell in the late 1990s, I was risk-averse and not interested in a non-traditional career path. Twenty years later, when I heard about blockchain and digital currencies, I thought, “now’s the time to take a non-traditional path and take some risk.” I knew that I wanted to be part of an emerging industry — working with people who are changing the way we do business and the way we use and perceive money. Currently, I’m providing money transmission advice to a token rewards platform for actions users take on social media. In another project, I am providing advice to a blockchain platform aimed at creating price transparency for health services so that consumers can make more well-informed decisions about which health care provider to choose. This will hopefully provide access to affordable healthcare to more people. Susan Joseph, a JD/MBA Blockchain Consultant and former General Counsel, whom I met when we were both participating in MIT’s Legal Forum for Artificial Intelligence and Blockchain. Susan and I shared a commonality in being Cornell alumnae. When I first inquired of Susan about technical and legal issues surrounding blockchain, she was very open and generous with her time, especially in explaining the technical aspects of the technology to me. As I became more involved in the industry, I felt really comfortable with Susan, enough to be able to say, “I don’t understand”. With Susan’s mentoring and guidance, I was able to develop into a lawyer who could truly help her clients bring blockchain applications to market because I understand the technical aspects of the technology. It’s a disruptive technology- the technology can be used to disintermediate transactions — making them faster, cheaper and more efficient. For digital currencies, the concept that you no longer need a central authority such as a bank to transfer value to someone. This is very empowering for those who are disenfranchised and have no ability to open a traditional bank account. There is also an opportunity to use this technology for a social good, which leads me to my next point. Blockchain can be used to deliver money and goods to people all over the world in need, something the United Nations is currently focused on. Collaboration across industry- being a blockchain lawyer has allowed me to collaborate with lots of different groups of people such as developers, technicians, consultants, and coders who have varying expertise than mine. It’s a fun industry! — The blockchain industry is full of passionate, fun and interesting people. Being a part of the blockchain community has injected an element of friendship and fun into my work-life that I never expected. I think that because blockchain is a disintermediating technology, there is a concern that entire industries will not be needed anymore as a result of its adoption. It could create a potential loss of jobs, which should, however, be counter-balanced by the proliferation of a blockchain economy that will create more jobs. There are definitely fewer woman and minorities in the blockchain space, a disparity that led to my co-founding Diversity in Blockchain, a non-profit that aims to counteract that gap with education and mentoring in the industry. Fraud in the initial coin offering market has tainted some people’s views of blockchain technology and digital currencies (or tokens). Legal uncertainty with respect to the laws the apply to blockchain and digital currencies is causing uncertainty and tension. Business needs predictability of law; this is something Congress is aware of and working on. The digital currency market trades 24/7 (the market never closes), which can be challenging from a work-life balance perspective. As I mentioned earlier, a group of all-female blockchain pioneers and thought-leaders, including myself, established Diversity in Blockchain, a nonprofit organization committed to creating equal, open and inclusive opportunities in the blockchain industry. Our mission with Diversity in Blockchain is to empower everyone, from all walks of life, to engage with blockchain technology while breaking down barriers. We believe that true innovation includes everyone. Through education, discussion and engagement we can build a support network as revolutionary as the blockchain itself. Just recently, I was at the White House speaking with representatives from the National Economic Council in connection with one of my client’s blockchain applications that will bring price transparency to the healthcare industry. This could really help change fundamental flaws in the healthcare industry. Don’t be afraid to be the only woman in the room. Embrace it. If you’re not a developer or on the tech side, there are still a lot of opportunities in the industry. Women need to encourage each other in this space. At all levels, I find that women in this space are willing to collaborate, which is something special about the industry. For example, I email and speak with law students all of the time- particularly female law students- as I know it can be difficult to break into the industry on the legal side. I’m passionate about encouraging young female lawyers to join the industry. We need women to understand that, with any relatively new technology there are a lot of opportunities. If a woman is eager, and has a thirst for knowledge, and is excited and passionate about blockchain, it doesn’t matter that she isn’t a coder or developer or lacks technical expertise — there is so much she can contribute to the industry. Try to make lemonade out of lemons- that’s been a lesson since I was younger about perseverance and self-advocacy. If you know where you want to be, then you just have to figure out how to get there. Even if there are bumps in the road, ultimately you must pursue your passion. With a fire in your belly and a desire to do something that you are truly passionate about, the world is limitless. Knowledge is power and if we can provide less costly quality education to everyone, we can empower people and effectuate pervasive change.